Detection of gas leaks is critical to ensuring the safety of human life and equipment investments at large industrial and public sites. Gas leaks can be discovered by stationary gas sensors; however, manual inspection is much more effective. Trained staff members can inspect and scan gas equipment and pipes with a gas leak detector. 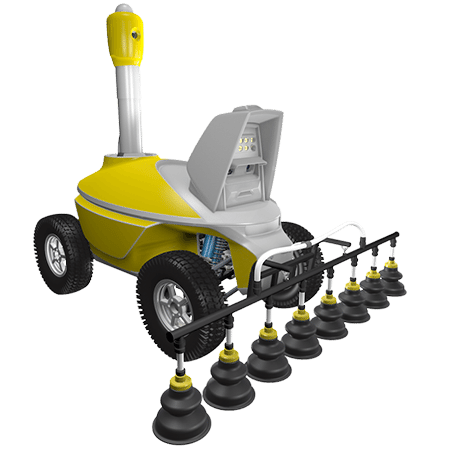 The S6 robot is designed for automated mobile inspection of oil and gas infrastructure sites and remote detection and isolation of gas leaks. 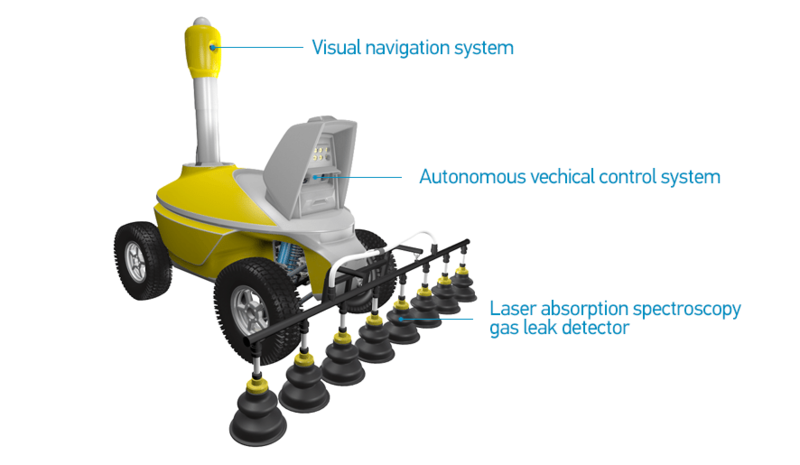 In automated mode, the robot travels along a pre-determined route and remotely analyzes the gas concentration in close proximity to potential leak points. The gas concentration measurement is performed with a laser beam using the Absorption Spectroscopy method. Because point measurement is used, the device is installed on a moving platform with three degrees of freedom. Quick and precisely accurate scanning is the result of the S6’s gyro-stabilized platform. The moving platform also has two cameras (for visible light and infrared spectrum) that create a two-spectral image of the leak and help to precisely locate it on the equipment. The image from these cameras, along with the measurement data obtained by the remote gas leak scanner, is transmitted to the operator via WiFi. If gas concentration is high, the operator is alerted. 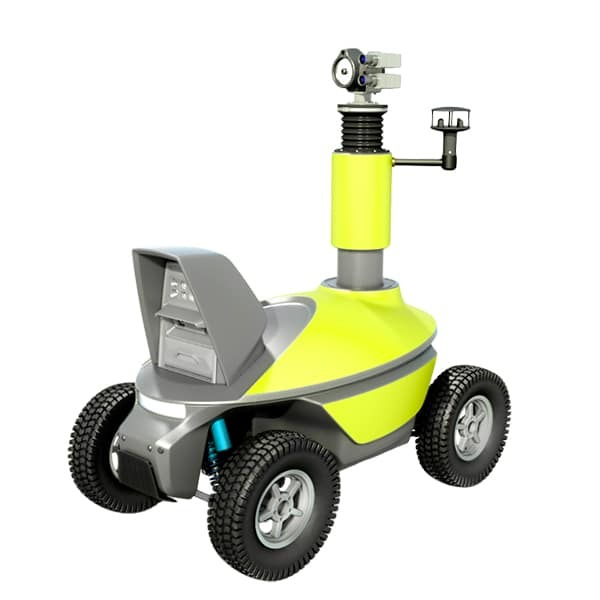 The S6 Gas Leak Detection and Isolation Robot is designed for regular inspection of gas infrastructure at minimal cost and without direct human input. 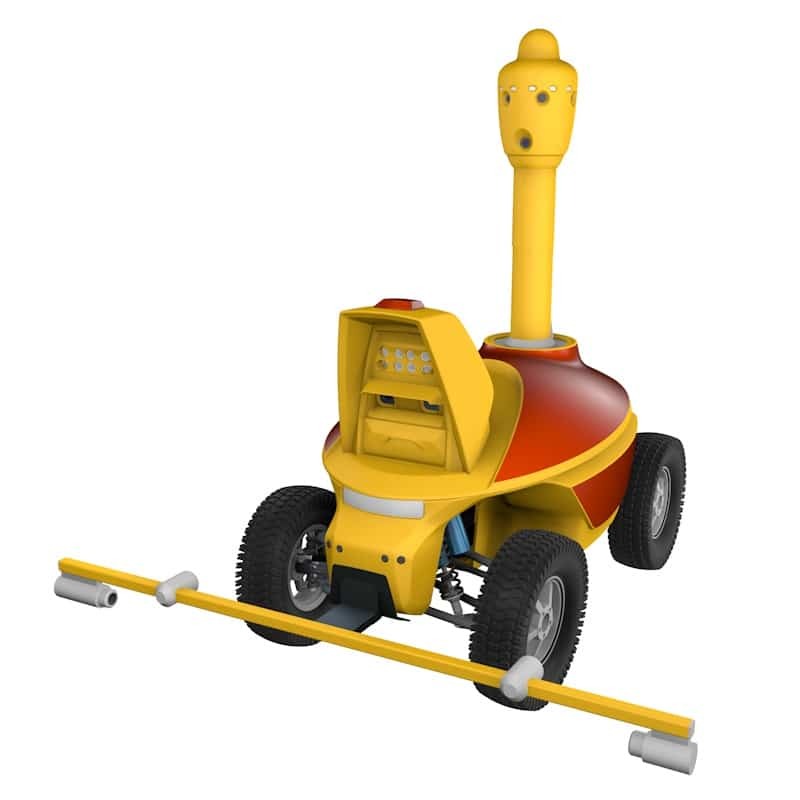 To ensure best results and account for wind, the mobile robot is equipped with an anemometer. 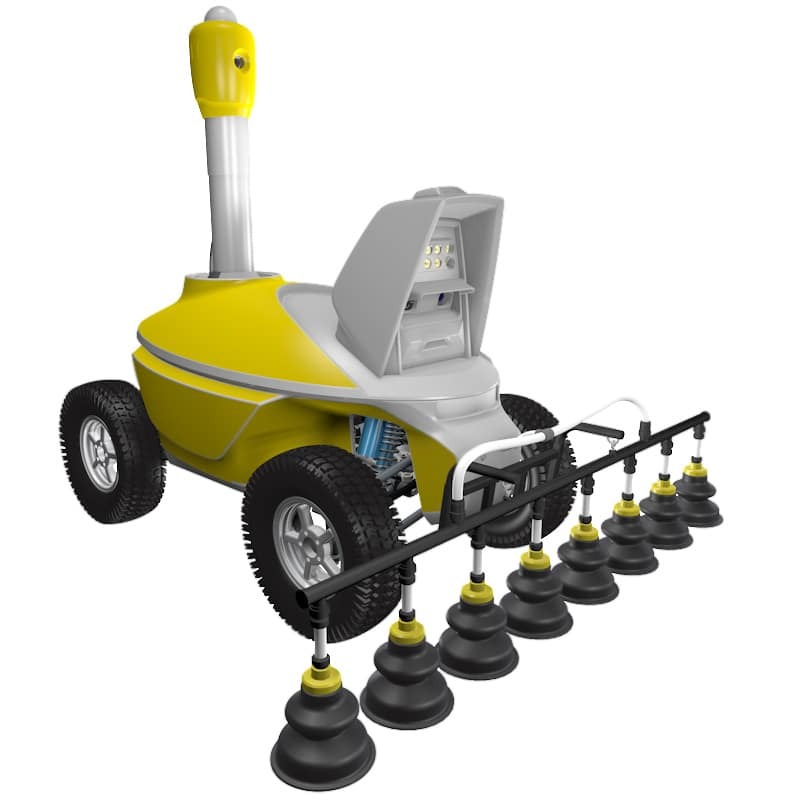 This highly reliable robot is designed for use at sparsely staffed sites or unmanned gas stations. It helps to detect hidden risks promptly, thus preventing immeasurably greater potential damages. 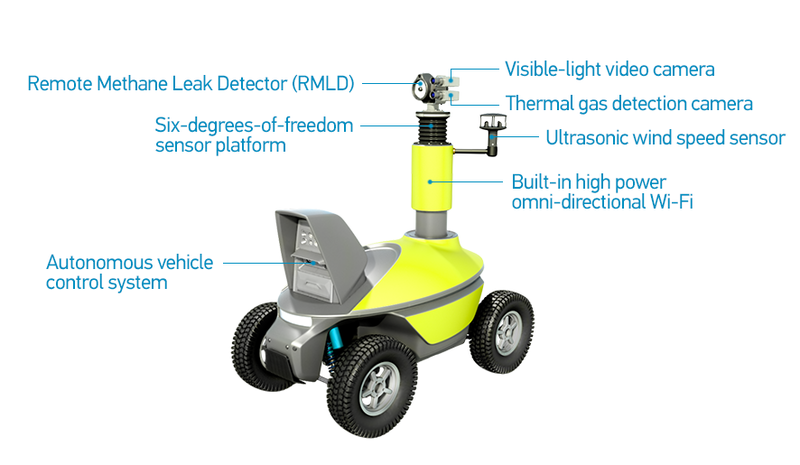 The A6 OMD robot, equipped with an optical methane detector, is a perfect solution for underground pipeline gas leak detection. While moving, the robot scans an area of about 6.5 feet wide. Necessary measurements are performed with a close-to-earth scanning beam, which minimizes the impact of wind on the gas concentration. The onboard satellite navigation system ensures an accurate alignment of the robot’s cruise route with the underground gas pipeline corridor. 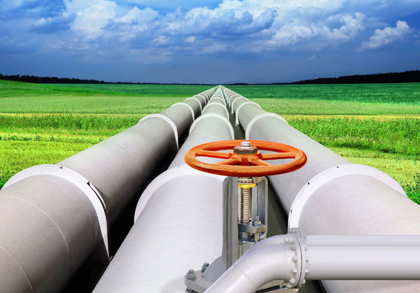 The measurement readings are combined with GPS location data to make up a gas inspection map for a pipeline of any length.